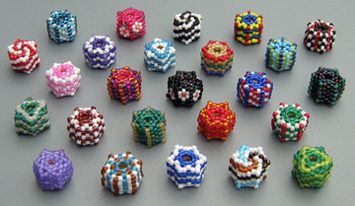 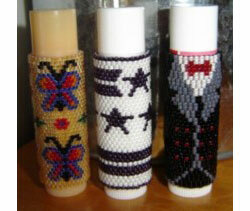 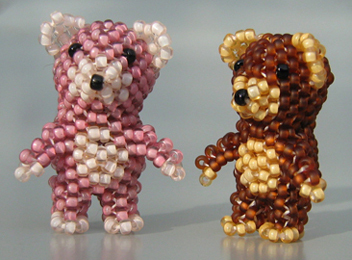 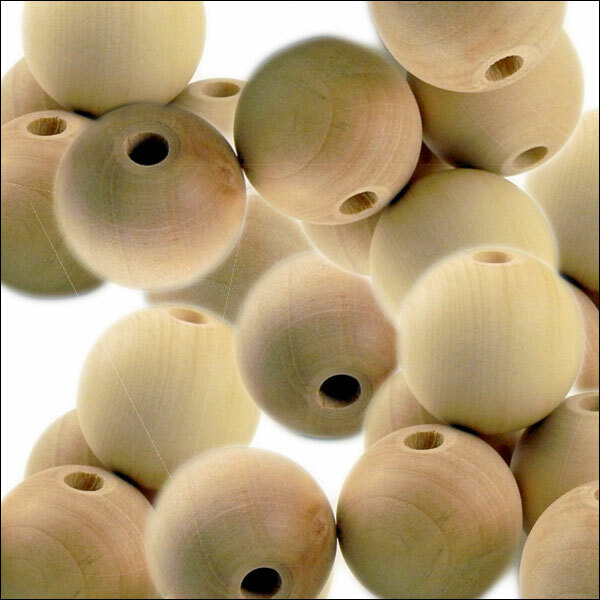 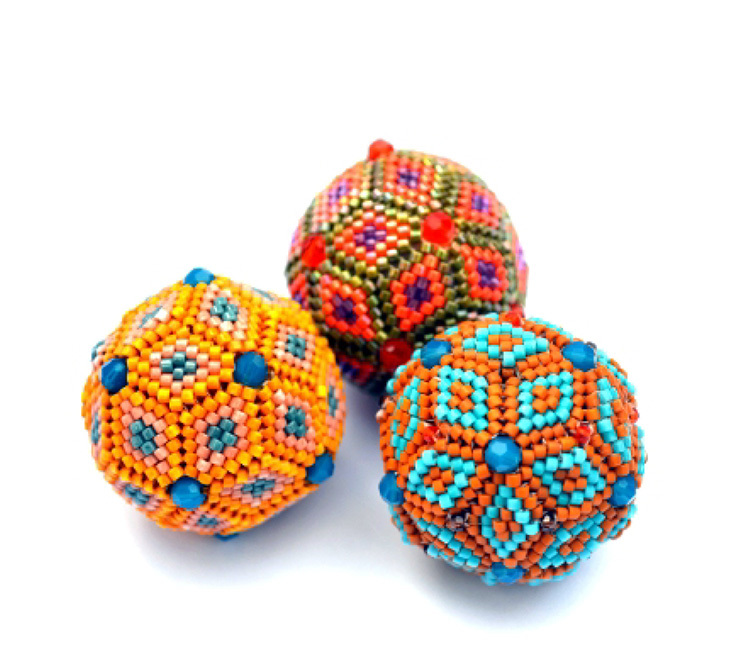 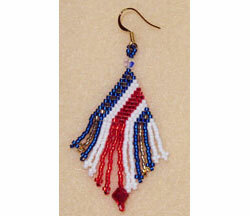 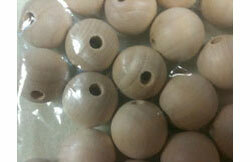 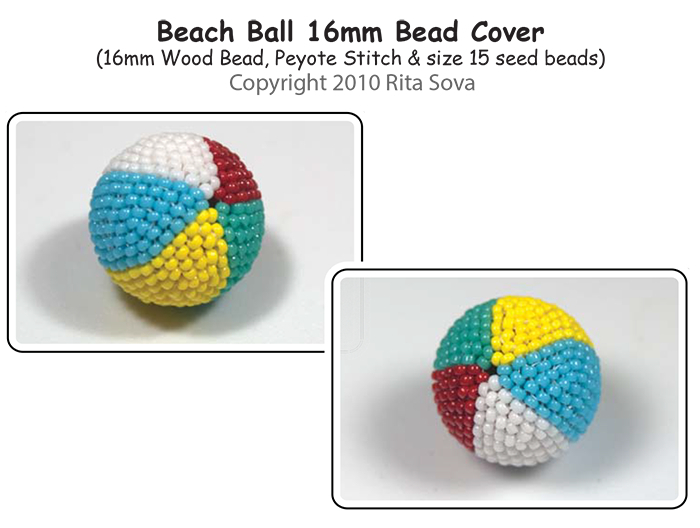 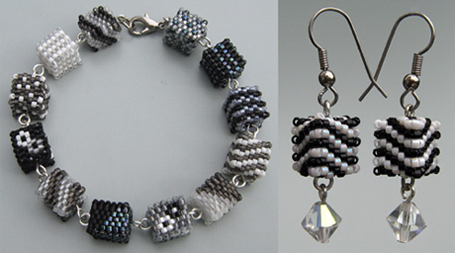 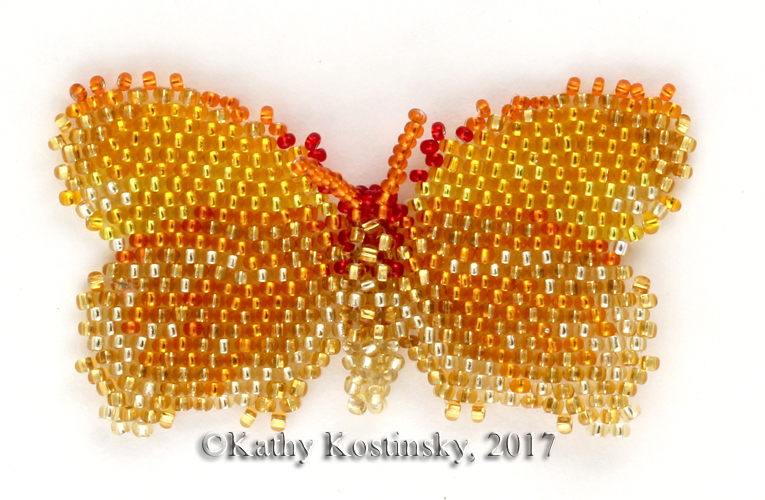 Use Peyote stitch and size 15 seed beads (5 colors) to cover a 16mm wood bead. 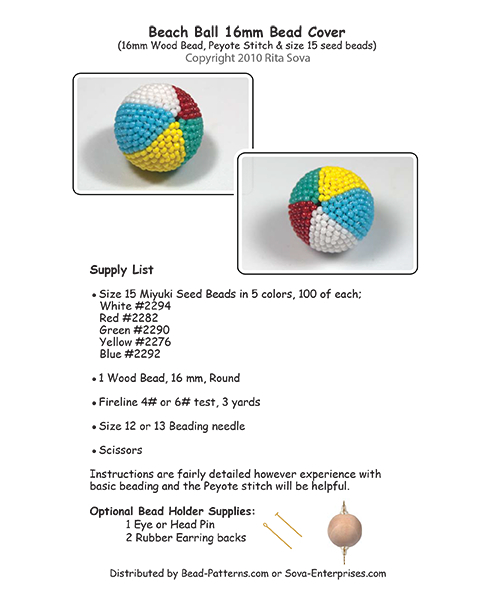 Detailed instructions, picture, and illustrations are included. 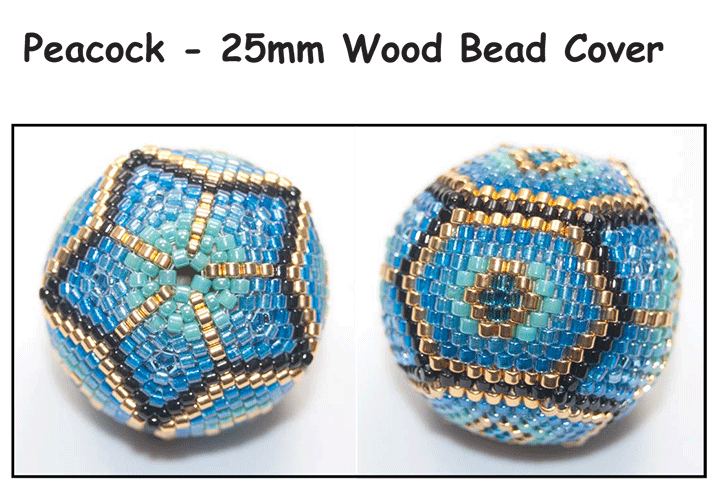 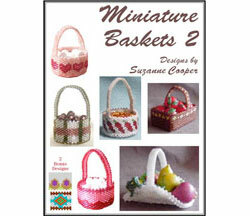 Instructions are fairy detailed however experience with basic beading and the Peyote stitch will be helpful.